According to the most recent NGF count, golf is now played in 208 countries. This number will keep increasing as some far-flung outposts use golf as a vehicle towards international visibility. One of these countries is Turkmenistan, a former Soviet central Asian republic situated north of Iran and west of Afghanistan, where Jack Nicklaus opens the first golf course later this fall - Ashgabat Golf Club. 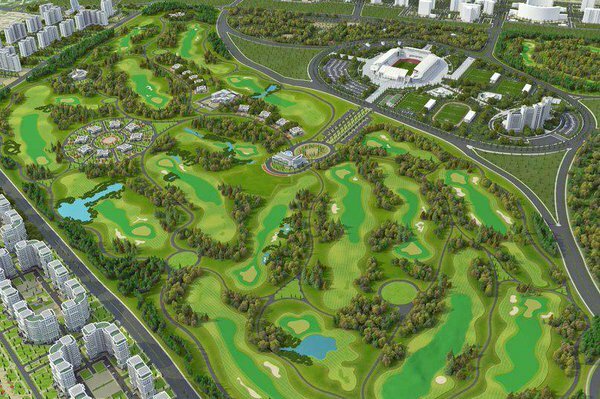 There are another 10 Championship caliber courses in the pipeline as the president of the Central Asian nation plans to have a course designed in every province. There are, however, only 2,500 expats in the country who wanted golf. Developing a compelling international marketing strategy to generate a significant number of rounds of golf and heads on beds will certainly be a challenging task, considering that the country issued less than 1,000 tourist visas last year. But I am up for any challenge, hello Mr Berdymukhamedov!